Stories change a lot between revisions. You’d never recognize the story I first wrote for Witchmark. 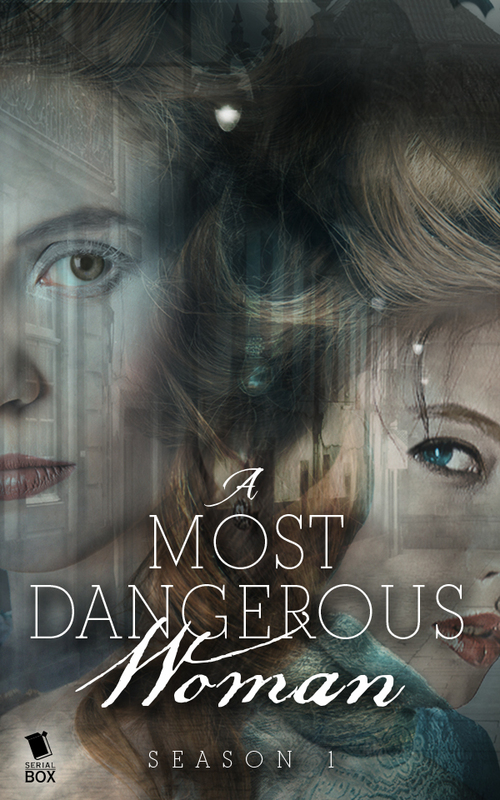 I added thirty thousand words, cut two subplots, and discovered Grace Hensley, Miles Singer’s younger sister. Grace was the favorite child. Gifted with a strong talent for Storm-Singing, Grace grew up as her father’s daughter, trained to take his place as the leader of the secret circle of mages who hold back the storms that would ruin Aeland’s agricultural prosperity. And she’s a failure, because her brother successfully escaped his fate as a lackey and magical battery. The subsequent loss of reputation has put the Hensley name in freefall, and she’ll do anything to claw her way back to the top. I sense the enlightened nods. Ah. An antagonist. She used the strictest of vows. A tripled oath was impossible to break. It was old magic, older than Link Circles, older than storm-singing, and she’d done it without hesitation. She held her hand out. The blood seeped back into her skin, the spell a part of her forever. Tristan swept off his hat and bowed. “How do you do?” The gesture was perfectly correct, but it was no courtesy. 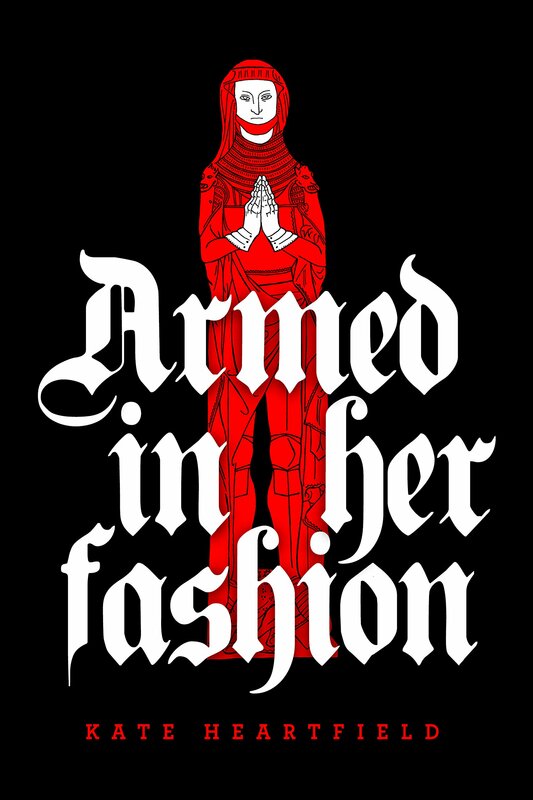 Grace stood with her feet and shoulders squared up to face him. She bristled with hostility. What on Earth— ? Of course. She could see Tristan’s veiling magic. Protective, loyal, and ambitious, or judgy, controlling, and arrogant? People don’t seem to stay neutral in their opinions on Miles’ sister. But I can’t help but speculate that Grace probably would be considered driven, responsible, passionate, and in a difficult position if her name was Gary. I love Grace because she defies the narrow strip of ground fictional women are allowed to occupy. She’s not nice enough. She doesn’t do emotional support. She’s opinionated, openly ambitious, sure of her own abilities and talents. She has flaws and weaknesses that make me facepalm, but her love for her brother shines through, creating all kinds of obstacles in what ought to be a clear path to her destiny as the leader of Aeland’s magicians. Grace is a difficult woman, and I cheer for her. C.L. Polk writes fiction and spots butterflies in Southern Alberta. She has an unreasonable fondness for knitting, single estate coffee, and the history of fashion. 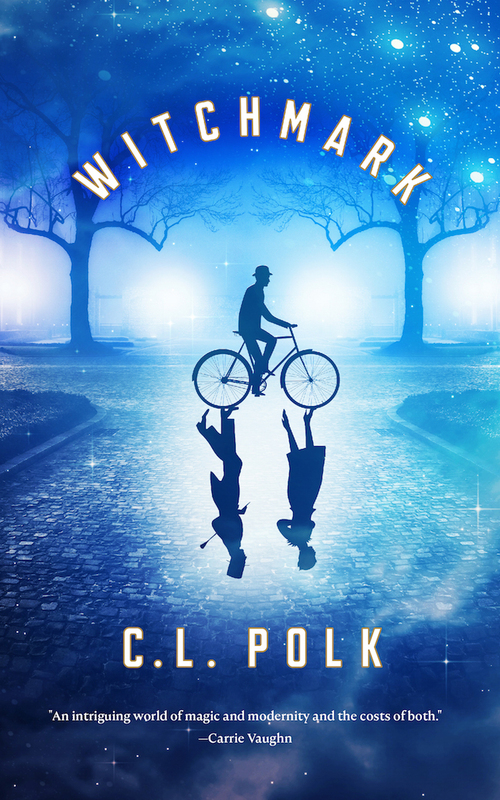 Her debut series beginning with the novel Witchmark is available from Tor.com. Not the kind that grow on your bread, or in your shower, or the black kind that everyone gets super bent out of shape about for no good reason (can someone please make one of those friendly spider memes for mold? Please?). I work with wood-decaying fungi which, as you might imagine, is sort of perfect since all the tech in ARDULUM is cellulose-based. So what better plot device, what better mass-panic-inducing organism, than a fungus that can literally eat the galaxy? Fungi have always been a part of the Charted Systems and the Alliance, if somewhat subtly. 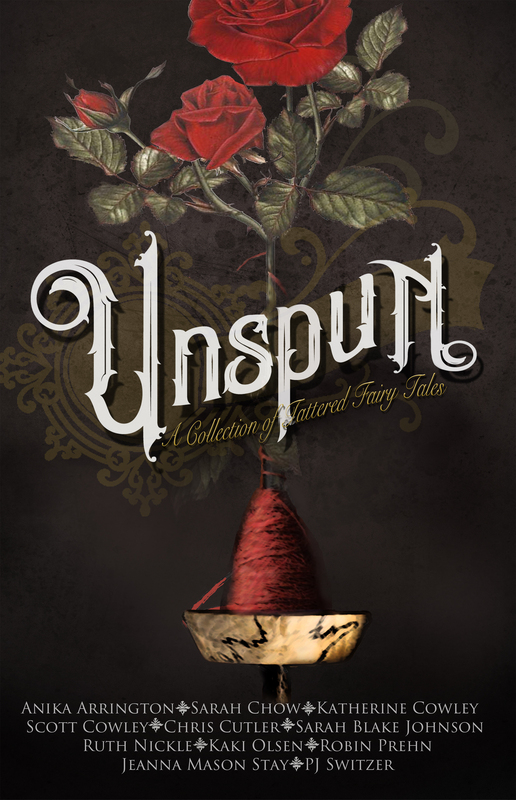 The menagerie of genders presented in the series are each modeled after a species of fungus. Conveniently fungi present practically limitless options for gender and sexual reproduction, and aliens should be at least as diverse as fungi (our closest evolutionary friends, in terms of kingdom). But I didn’t just want to model gender in THIRD DON, I actually wanted to imagine what fungi, as sentient beings (that can communicate with us. I’m not saying current fungi aren’t sentient. Don’t come after me, mycophiles!) would look like, how they might move, and how they might communicate. Unfortunately there wasn’t a lot of space to get into the minutiae of sentient fungal mechanics, but I’m really pleased with the parts I did get to play with. How do fungi emote? If we give them more ‘understandable’ traits, a big one would be a large spore expulsion. Although not all fungi release spores in such a manner on Earth, it seems like a reasonable evolutionary trait to be able to aggressively shoot spores (especially foul smelling ones) at someone who is bothering you. The spores could be sticky, smelly, or rapidly come to life and continue attacking. What fun! And what a mess to clean up. One can imagine if extended negotiations were needed with sentient fungi, one would try to make sure tempers stayed cool. Another big issue would be communication. Fungi communicate chemically, as do most living things, and also, in theory, through their extensive hyphal networks. For THIRD DON I tried to combine the two methods, by indicating that the sentient fungi used chemical signals, but in order to communicate in ‘Common’ with Atalant, rubbed their hyphae together to mimic speaking sounds. I assume the chitin content of fungal hyphae would need to be drastically increased to make the kind of noises needed to ‘talk,’ but hey, this is science fiction. You can take some things on spec, surely. Finally, movement. Fungi capable of running a planet and interacting with bipeds need a way to locomote. And since this is an entire kingdom we’re talking about here, not just a species (like, say, Homo sapien), there needed to be some variation. So I selected across a broad group of fruiting forms, from the very recognizable stinkhorn fungi (specifically the ‘veiled lady,’ Phallus indusiatus), to the ascomycetes cup fungus elf’s cup (Chlorociboria spp. ), to a fungus that has no known fruiting body nor common name: Scytalidium cuboideum. Dragging seemed the easiest way to get around, and most fungi make hyphae, so across the board the fungi pull themselves along with braided hyphae. But to denote species differences, I got into the mechanics of each type. The veiled lady can detach their ‘veil’ and wave it around (or smack other beings with it) in anger, using hyphal ‘hands.’ Scytalidium cuboideum moves both through its mycelium, and through expulsion of pigment from its hyphae (in real life, the fungus makes a beautiful red pigment which is used in textile dyeing). The final fungus, elf’s cup, doesn’t do much unique with their movement, but since this fungus has been used for hundreds of years in Western Europe for dyeing wood intarsia and marquetry pieces, I wanted to make sure there was a nod to its expansive pigment production. Hence, every time the fungus is on something woody in THIRD DON (which is basically all the time), it injects a blue-green color into the wood, as well as leaves a trail of blue-green pigment in its wake. Like a car leaking oil, but prettier. The sentient fungi of THIRD DON are mostly limited to one chapter, and play a very small role in the overall plot, but in many ways they were the most fun to write. A biped is a biped, especially in sci-fi, and especially if we want people to be able to relate to the character, but fungi…ah, we have such creative freedom with fungi! Genders and digestion and habitat and communication…really it’s a wonder there aren’t more sci-fi stories dedicated to their biology. And maybe if there were, people wouldn’t be so terrified of the mold in their shower. J.S Fields is a scientist who has perhaps spent too much time around organic solvents. Fields enjoys roller derby, woodturning, making chainmail by hand, and cultivating fungi in the backs of minivans. Nonbinary, and pronoun indifferent. Always up for a Twitter chat. For centuries, the Warder’s Circle on the neutral islands of Twaa-Fei has given the nations of the sky a way to avoid war, as their chosen warders settle disputes through magical duels of blade and sigil. But that peace is on the edge of crumbling, crushed between the aggression of the Mertikan Empire and the determination of the still-free nations to not be consumed. Twaa-Fei may be neutral, but it is also home to a million intrigues, schemes, and deadly intentions. Michiko and Kris arrive in this treacherous world together, bladecrafters eager to serve their countries — Michiko as a junior warder for Katuke, a vassal of the empire, Kris as an upstart challenging to win a seat for his home, Rumika, in the Circle. But before the young bladecrafters have even settled in, a power struggle erupts, a man’s head is parted from his shoulders, and every good thing Michiko thinks she knows about the empire comes into question. A storm is coming, and Kris and Michiko stand at its eye. Will it bind the nations of the sky together… or tear it apart? This is going to sound weird . . . but my favorite bit in Born to the Blade, the collaborative novel I wrote with Michael R. Underwood, Malka Older, and Cassandra Khaw, might just be Bellona. Bellona? The arrogant, high-handed character everybody loves to hate? How can I name her, when I could choose from Michiko, Kris, Ojo, Adechike (officially nicknamed “Beautiful Cinnamon Roll” by the writing team)? I don’t like Bellona. It’s no accident that she’s named after the Roman goddess of war: she spreads strife wherever she goes, sometimes on purpose, sometimes just by being who she is. She’s utterly invested in the ideology of the Mertikan Empire, which is best described as “rabid meritocracy.” It’s a land where every person is . . . not encouraged, that’s too gentle; more like required . . . to pursue excellence in whatever it is they do, whether that’s being a bladecrafter representing the Empire on the neutral islands of Twaa-Fei, or a street sweeper in the capital city. In Mertika, if you can prove you’re good at a thing, then the job is yours. Other islands in the sky use formal confrontations with swords to settle political treaties or points of dispute, but in Mertika, you can challenge for any position, attempting to prove your worth through a suitable kind of duel. Want to become a cook? Think Iron Chef. Barber? Time to see who can produce the fastest, cleanest shave. Anybody can become Emperor or Empress . . . if they can defeat the current ruler in a test of combined swordplay and magic. Of course, there are consequences if you challenge and fail. Then you tumble all the way to the bottom of the hierarchy, not only in this lifetime but the next. Because that’s the other thing: Mertikans remember their previous lives. Every island in the sky bestows a magical birthright on people born there (regardless of their ancestry). For Mertikans, it’s past-life recall. Combine that with their ideology, and you have a recipe for the “tiger mom” stereotype on steroids: a constant drumbeat telling them to achieve, achieve, achieve, and the awareness of whether they’re surpassing their previous incarnation or failing to live up to it. Only an idiot concluded that, because the peach was high in the tree, she would never be able to pluck it. Someone, sometime in the distant past, had faced the same problem . . . and invented the ladder. Bellona will invent whatever ladders she has to in order to achieve her goals. Even when I detest those goals, even when I want to smack her upside the head with proof that just because Mertika pursues excellence doesn’t mean it’s good, I find her mindset compelling. So while I love many of the characters in our story — nerdy Takeshi, long-suffering Yochno, noble Penelope, flamboyant Shun — Bellona might just be my favorite, because she’s so determined to be the best. If what she winds up being best at is making readers loathe her, then we’ve done our job. Marie Brennan is a former anthropologist and folklorist who shamelessly pillages her academic fields for material. She most recently misapplied her professors’ hard work to the Hugo Award-nominated Victorian adventure series The Memoirs of Lady Trent; the first book of that series, A Natural History of Dragons, was a finalist for the World Fantasy Award and won the Prix Imaginales for Best Translated Novel. 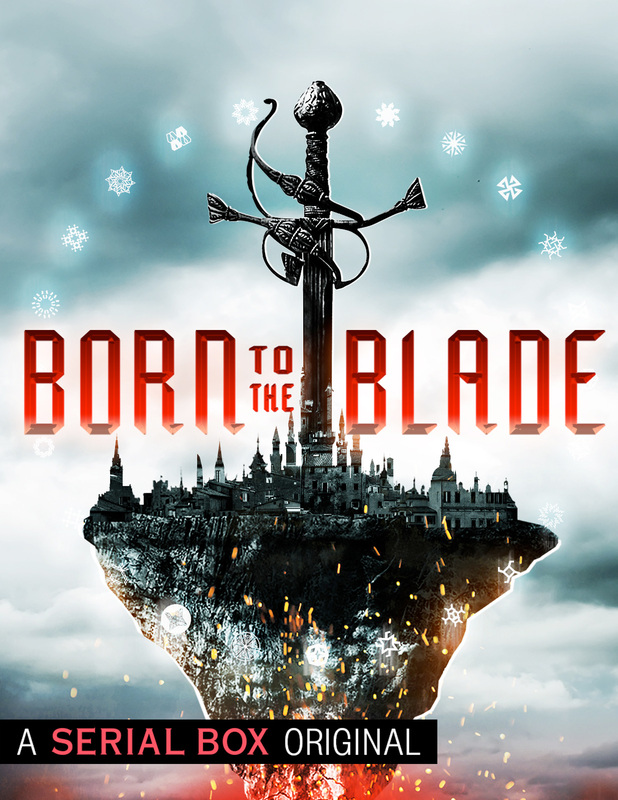 Her collaborative novel Born to the Blade, written with Michael R. Underwood, Malka Older, and Cassandra Khaw, is out this spring from Serial Box. 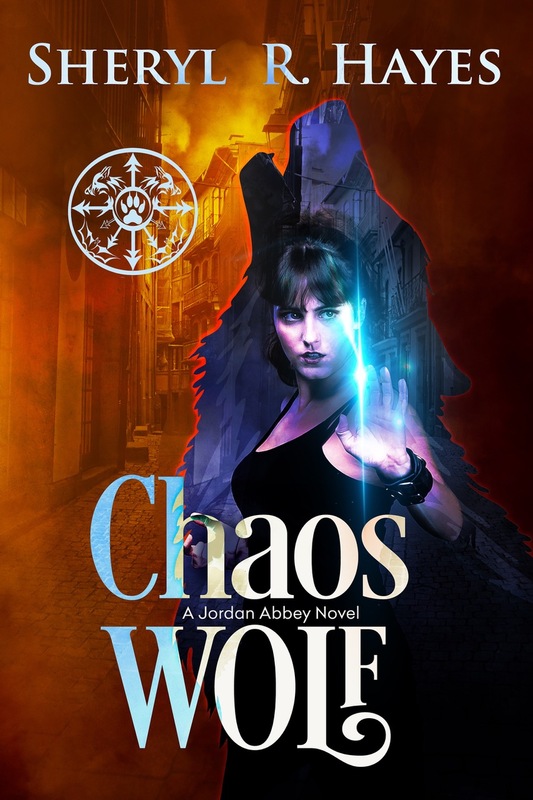 She is also the author of the Doppelganger duology of Warrior and Witch, the urban fantasies Lies and Prophecy and Chains and Memory, the Onyx Court historical fantasy series, the Varekai novellas, and more than fifty short stories. For more information, visit www.swantower.com. Denver Moon, P.I., works the dark underbelly of Mars City. 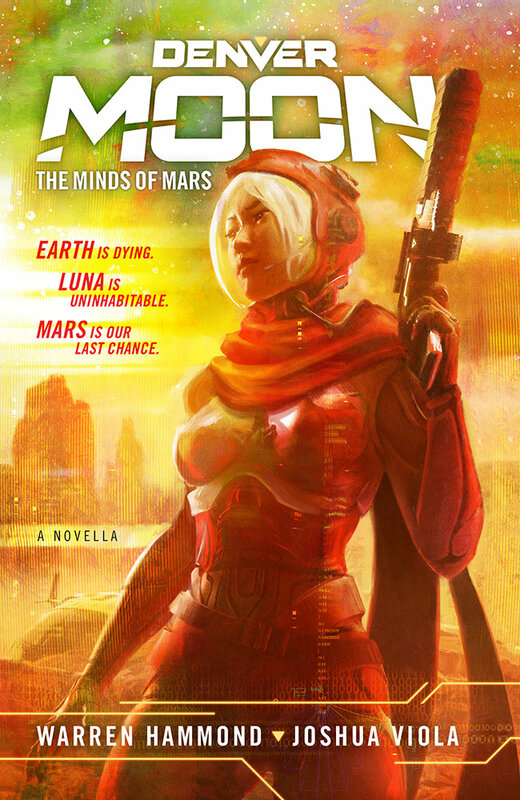 While investigating a series of violent crimes linked to red fever—a Martian disorder that turns its victims into bloodthirsty killers—Denver discovers a cryptic message left by Tatsuo Moon, Mars City co-founder and Denver’s grandfather. The same grandfather who died two decades ago. 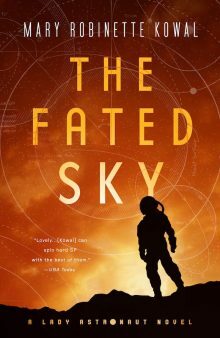 Hell-bent on reclaiming her grandfather’s legacy, Denver—along with her AI implant, Smith, companion android, Nigel, and shuttle pilot, Navya—set out on a quest to find the answers they hope will shed light on the church’s true agenda, the origin of red fever, and the mysteries surrounding Tatsuo’s tragic death. The thought of a talking gun made me smile. From the very beginning, Josh and I wanted to have fun with this project, and making a gun into a primary character sounded like…well, fun. I suggested we name our AI-in-a-gun sidekick Smith, because the gun is a Smith and Wesson. That elicited a grin, and we were off to the races, running with a good idea like all writers do. That’s the exciting part of a collaborative project. Josh and I both bring good ideas, but those ideas become so much more special when we bounce them off each other, and they morph, and shift, and inspire unexpected turns that far exceed our original thoughts. The next idea was this: the AI-in-a-gun sidekick carries the memories of Denver’s dead grandfather, the founder of Mars colony. Thanks to this addition, Smith began to grow a personality. Unable to keep himself separate from the memories he carries, he now had his own thoughts and feelings. He was no longer a smoother-talking version of an Amazon Echo or Apple Siri. He was now a fully-realized character who, we decided, would often have an agenda all his own. And what if Denver gets annoyed when Smith acts too much like her grandfather? What if, among her grandfather’s memories, Smith finds a message implying Denver’s grandfather might not be dead? Ideas work like that sometimes. One leads to the next, which leads to the next, until they seem to take on a life all their own. Adding layer after layer to Denver and Smith’s world, we built the foundation for Denver Moon: The Minds of Mars as well as a three-issue comic book series named Denver Moon: Metamorphosis. We debuted the comics recently at the Denver Independent Comic & Arts Expo, where we received an unexpected gift. Hearing those words, I smiled, too, just like the first time I heard it. Warren Hammond grew up in the Hudson River Valley of New York State. Upon obtaining his teaching degree from the University at Albany, he moved to Colorado, and settled in Denver where he can often be found typing away at one of the local coffee shops. He is known for his gritty, futuristic KOP series from TOR Books. By taking the best of classic detective noir, and reinventing it on a destitute colony world, Warren has created these uniquely dark tales of murder, corruption and redemption. KOP Killer won the 2012 Colorado Book Award for best mystery. Always eager to see new places, Warren has traveled extensively. Whether it’s wildlife viewing in exotic locales like Botswana and the Galapagos Islands, or trekking in the Himalayas, he’s always up for a new adventure. Joshua Viola is an author, artist, and former video game developer (Pirates of the Caribbean, Smurfs, TARGET: Terror). In addition to creating a transmedia franchise around The Bane of Yoto, honored with more than a dozen awards, he is the author of Blackstar, a tie-in novel based on the discography of Celldweller. His debut horror anthology, Nightmares Unhinged, was a Denver Post and Amazon bestseller and named one of the Best Books of 2016 by Kirkus Reviews. His second anthology, Cyber World (co-edited by Jason Heller), was an Independent Publisher Book Awards winner and Colorado Book Award finalist and named one of the Best Books of 2016 by Barnes & Noble. His short fiction has appeared in The Rocky Mountain Fiction Writers’ Found anthology (RMFW Press), D.O.A. III – Extreme Horror Collection (Blood Bound Books), and The Literary Hatchet (PearTree Press). He lives in Denver, Colorado, where he is chief editor and owner of Hex Publishers. Fireworks, riots, and rousing speeches all mark the vast societal upheavals taking place in the city of Tabat. But personal upheavals reflect the chaos. Adelina Nettlepurse, noted historian and secret owner of Spinner Press, watches the politics and intrigue with interest, only to find herself drawn into its heart by a dangerous text and a wholly unsuitable love affair with a man well below her station. The match offered by Merchant Mage Sebastiano Silvercloth would be much more acceptable, but Sebastiano is hampered by his own troubles at the College of Mages, where the dwindling of magical resources threatens Tabat itself. And worse, his father demands he marry as soon as possible. When Adelina’s best friend, glamorous and charming gladiator Bella Kanto, is convicted of sorcery and exiled, the city of Tabat undergoes increasing turmoil as even the weather changes to reflect the confusion and loss of one of its most beloved heroes. Meanwhile the Beasts of Tabat — magical creatures such as dryads, minotaurs, and centaurs — are experiencing a revolution of their own, questioning a social order that holds them at its lowest level. But who is helping the Beasts in their subversive uprising? In the second book of the Tabat Quartet, award-winning author Cat Rambo expands the breathtaking story from Beasts of Tabat with new points of view as Adelina, Sebastiano, and others add their voices. 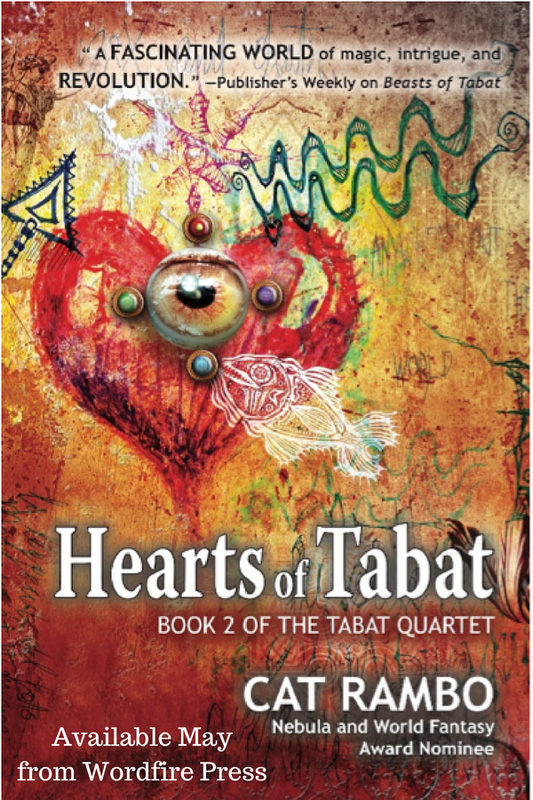 Tabat is a world, a society, and a cast of characters unlike any you have read before. I ended up removing these headers because I was afraid readers might take them to be more meaningful than they are, but they were great fun to figure out and many still made their way into the book itself or other Tabat works, such as the novelette I just finished, “God of the Balanced Ledger,” which talks at great lengths about some of the practices of merchants of Tabat. I love complicated mythologies, and I’ve tried to create one in the Trade Gods, though I’ve also tried to make their names make sense by making a list of the more important morphemes as well as creating suffixes that identify gender: female, male, neuter, multi, and other. I know that if a god’s name starts out with “Dom,” for instance, they have something to do with communication, such as Dompkepko, God of Negotiation, or their sibling Domkepthka, God of Persuasion. “Aril” on the other hand usually signals some sort of tie or alliance. In creating the mythology, I’ve tried to show how the merchants living within it see the world, as something that is made up of economic forces, with a sense of a mythology that is as much a textbook of basic economic theory as it is a scripture, but still captures the flavor of a lively, energetic pantheon. Some of them got quite complicated, such as Rilriliworhaomu, Trade God of Hypothetical Marital Alliances. The sequel, Exiles of Tabat, is dedicated to another specific trade god, Uhcoemo, Trade God of Exiles. Where this book has explored some of the events of the first from different points of view, the third returns to Bella Kanto and Teo, this time far away from Tabat, struggling with the immense changes that have happened in their lives. Some folks have said nice things about the worldbuilding in both Hearts of Tabat as well as its predecessor, Beasts, and I think it’s pieces like this, which provide both underlying structure and new directions for stories to go in, that help create an immersive, interesting world, along with all the fantastic talking gryphons, magic fountains, and other details of the seaport of Tabat. By now I’ve written not just two and a half novels in its world, but over two dozen stories, and I know I’ll keep coming back and finding new details, perhaps overseen in that endeavour by Marbu, Trade God of Chance and Domkepdepru, Trade God of Books. The period pharmacopoeia. The favorite Victorian drug was an opiate; opium or its more powerful derivatives were added to everything. Tonics. Baby supplements. Cough syrups. Malaria medicines. It’s a wonder anyone got anything done, they all must have been higher than Timothy Leary. Another beloved chemical enhancement was arsenic. It was like corn sugar for us, a useful additive to anything you can imagine. Lotions, foodstuffs, hair products – everything went down a little better with arsenic. There were no food purity regulations, no drug laws that precluded you from buying half a pound of the stuff at the local store so that you could add arsenic, or opiates, to the food you were selling or cooking for the hubby and kids. Things to do to sick people. When Emily Bronte (author of WUTHERING HEIGHTS) was bitten by her dog, she staved off rabies by cauterizing the wound with a poker heated red-hot. She did this with her own hands, not even allowing Charlotte and Anne to help. Thank God, there were no cell phone cameras so the incident is not viewable on YouTube. The things to feed to sick people will make you feel ill just reading the recipes. The idea was that sick people were not strong enough to digest anything. So they got dishes like bread jelly (put the bread in a bowl, pour boiling water on, and after it cools take the bread out. Spoon the water left in the bowl into the invalid’s mouth). Or gruel, the bane of Oliver Twist. You could have sago gruel, oatmeal gruel or rice gruel. All of these to be served quite plain, and any leftovers could be used to glue wallpaper to the walls. If you read JANE EYRE it is clear that Bertha, the crazy wife hidden in the attic, is fed on nothing but gruel. After a year or two on this diet you would go berserk and burn the hose down too! Creative treatment trends. There was a fashion for hydropathy, which means taking baths. Cold baths, hot baths, water poured in a steady stream onto the top of your head – all these things were supposed to help cure a variety of ailments. Charles Darwin spent years treating his digestive issues with sitz baths, sitting in a shallow basin of water. You can still view the bowl at his house in Sussex – he kept it hanging behind his office door, handy for use. Another horrific notion, mainly pushed by a single nutty doctor, was clitoridectomy. Yes, using a scissors on a woman’s most personal organ would cure her of nearly anything from toothache to infertility. That doctor got disbarred, but another, whose idea that all your health problems were caused by your teeth, was not. He prescribed extractions for everything from colds to heart trouble to gout, and did a good business. Then he got sick himself, and had all his own teeth pulled out. He was horrified when it didn’t help, and you will not be surprised to hear that after that he went into a decline. And finally, the one medical issue that you find very little written about: STDs. Sexually transmitted illnesses were rampant, in an era when London teemed with prostitutes and there were no cures or cheap protections. There was of course no birth control, and even condoms had to be expensively and painstakingly hand-made (from lamb intestine, tied on with ribbon). Every man who strayed sooner or later picked up some horrible disease, and if they were unlucky they were infected with the most feared germ of all: syphilis, the Great Pox. It was highly infectious, and incurable. The treatments (mercury) were at best partially effective and at worst killed you outright. But you couldn’t talk about it. Because if you had an STD you, by definition, had been sleeping around. Doctors would diagnose and treat men, but carefully not tell their wives even if the lady became infected. Because it was the mister who paid the bill, and the knowledge would only upset the poor little woman, right? In any case there was no cure until the advent of penicillin, and if you were really unfortunate the disease would pop back out after years of making you ill, and drive you insane. A vast field of literary analysis is out there, exploring how the fear of VD haunts fiction and poetry of the period. As syphilis warped men’s sexuality, infected women (Isak Dinesen caught syphilis from her husband) people wrote about it in coded or veiled terms that we are only just starting to perceive. Although I had not intended this, you can look up from the world of A MOST DANGEROUS WOMAN and be really, really glad that you live in an era with modern medicine! Brenda W. Clough spent much of her childhood overseas, courtesy of the U.S. government. She writes novels and short stories. Her first fantasy, The Crystal Crown, was published by DAW in 1984. She has also written The Dragon of Mishbil (1985), The Realm Beneath (1986), and The Name of the Sun (1988). Her children’s novel, An Impossumble Summer (1992), is set in her own house in Virginia, cottage at the edge of a forest. Her novel How Like a God was published by Tor Books in 1997, and a sequel, Doors of Death and Life, was published in May 2000. Her latest novels from Book View Cafe include Revise the World (2009) and Speak to Our Desires. She has been a finalist for both the Hugo and the Nebula awards. Looking for beta readers for 5300 word SF story. 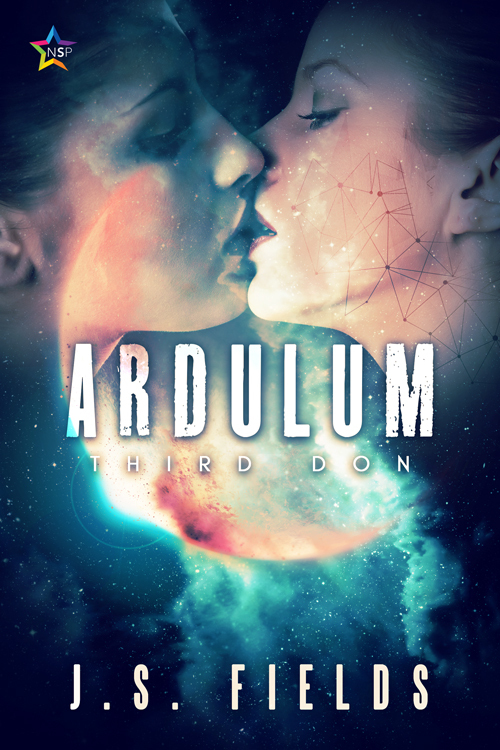 This is a short story set in the Lady Astronaut Universe. It is does not contain any real spoilers for the novels — or at least nothing you couldn’t glean from a blurb about the books. Although it takes place between books 1 and 2, you don’t need to have read anything in the LAU to follow this. Sep. 26, 1960 (AP) — The International Aerospace Coalition announced today that the lunar colony, established last year, was ready to expand to hold 100 colonists. This is the next step in preparing to colonize Mars, but although many still question the necessity of such an endeavor. Patches of orange light from the sodium vapor lamps fractured the dark parking lot at the IAC’s Neutral Buoyancy Lab. Six-thirty in the morning was a brutal time to start work and Ruby was already sore and exhausted, which was she tried to tell herself was good practise as an astronaut. All she wanted was to do the NBL training run and then collapse in bed, but somehow she’d agreed to another lindy-hop dance rehearsal tonight. It was just hard to disappoint a friend that you’d been dancing with since before the Meteor struck. She didn’t have that many pieces of Before left in her life. I’m looking for 5-10 new readers. Just raise your hand in the comments below. What will happen then is that I’ll email you with the link and instructions on what sort of feedback I’m looking for. Fairy tales are wonderfully flawed, and we love them for it. They are morality tales whose morals have changed. They are cautionary tales repurposed as entertainment. They are improbable tales built out of incongruities and logic holes. They are escapist tales in which love at first sight relationships and rags-to-riches success fade to “Happily Ever After” before the heroine has time to confront the lasting consequences of her adventure. And I am convinced that we love fairy tales precisely because of these flaws, because each dissonant quality compels us to tell the story over again in a new way. Without those rough edges to catch our imagination, they couldn’t have embedded themselves so deeply into our social consciousness. For example, I absolutely adore Jeanna Stay’s story “Breadcrumbs,” which follows Gretel after she escapes the horrors of the gingerbread house. How do you return to your family after betrayal and abandonment? How do you escape the nightmares that remind you of what you had to do to survive? Gretel’s struggle to find hope and direction after the trauma of her fairy tale is intensely personal and beautifully told. Another personal favorite from the anthology is Katherine Cowley’s novella “Tatterhood and the Prince’s Hand.” In the original fairy tale, Tatterhood is an ugly princess who rides a goat and wields a magic spoon. After rescuing her sister from trolls, she finds herself happily-ever-aftered to a foreign prince. In Cowley’s continuation of the story, Tatterhood is happy with herself and her abilities, but she is not entirely confident in the affection of her new husband (or in her affection for him). When he is captured by a magical creature, Tatterhood has to decide how much she wants him back. Underneath the action scenes and the search for clues, the story is an insightful and touching exploration of loyalty and confidence and acceptance. When I approached writing “Heart of a Thief,” my continuation of Jack and the Beanstalk, the flaw that captured my attention was the cow. Recall that Jack’s whole adventure starts off when he sells the family cow to an old man in exchange for a handful of magic beans. If someone has genuine magic beans, why on earth would they trade them for a cow that can no longer help Jack and his mother subsist? The man is Jack’s estranged father in disguise, coming back to make amends by giving Jack something valuable. It’s the giant’s wife in disguise, hoping to get rid of her good-for-nothing husband. That explains why she keeps hiding Jack in the house on repeated visits despite Jack’s habit of running off with their valuables. No disguise, he’s just a con man. Buying the cow is step one of a heist. It’s easier to rob a farmhouse than a giant’s stronghold, and he’s planning to steal the treasure from Jack. He is a pickpocket who stole the beans from a passing wizard, not knowing their value. Now he’s being pursued and needs to offload them quick. Maybe it’s a fair trade, even knowing all the treasure that Jack stands to gain, because the cow is magic, too! When fed the right diet, this cow’s milk is like the fountain of youth! Settling on a reason for the trade (none of the above, actually) was crucial in establishing the old man’s character, but once I had done so I mistakenly assumed that the cow’s part in this was over. After all, the story is about the bean-seller, not the the cow he bought. To my surprise, the cow continued to impact the story from start to finish. Her presence altered the direction of the plot, constrained the choices available to the protagonist, and illuminated the motivations of those around her. When the old man sits on a hill watching villagers steal from the giant’s corpse, the cow is grazing in the background. When he leaves the village, his interaction with the cow is a primary lens into his personality. When he seeks a path to the giant’s house, he finds himself severely limited by the need to bring the cow with him. And in the climax when he discovers more obstacles in his way, the cow gets to play a role yet again. I set out to tell the story of the bean-seller, a background character from the original fairy tale. I found that in order to do his story justice I needed to include another background story, the story of the cow he bought. Letting the two of them interact ended up driving the creative process of almost every scene, and I love that a loose end I almost overlooked in the original fairy tale turned out to have such an immense impact. She doesn’t get to play much of a role in Jack’s story, but she forced herself onto the stage for the sequel. That’s why she’s my favorite bit. 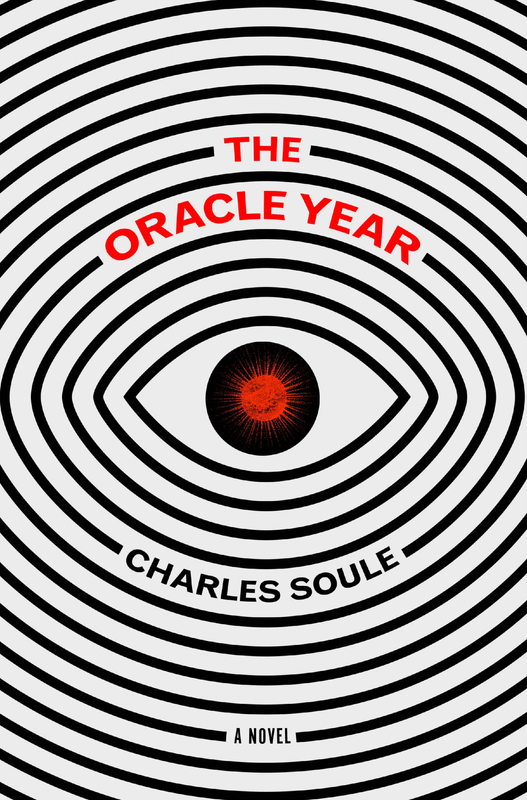 From bestselling comic-book franchise writer Charles Soule comes a clever and witty first novel of a twentysomething New Yorker who wakes up one morning with the power to predict the future — perfect for fans of Joe Hill and Brad Meltzer, or books like This Book Is Full of Spiders and Welcome to Night Vale. Knowledge is power. So when an unassuming Manhattan bassist named Will Dando awakens from a dream one morning with 108 predictions about the future in his head, he rapidly finds himself the most powerful man in the world. Protecting his anonymity by calling himself the Oracle, he sets up a heavily guarded website with the help of his friend Hamza to selectively announce his revelations. In no time, global corporations are offering him millions for exclusive access, eager to profit from his prophecies. He’s also making a lot of high-powered enemies, from the President of the United States and a nationally prominent televangelist to a warlord with a nuclear missile and an assassin grandmother. Legions of cyber spies are unleashed to hack the Site — as it’s come to be called — and the best manhunters money can buy are deployed not only to unmask the Oracle but to take him out of the game entirely. With only a handful of people he can trust — including a beautiful journalist — it’s all Will can do to simply survive, elude exposure, and protect those he loves long enough to use his knowledge to save the world. Well, first and foremost – spoilers. It’s hard to talk about my favorite part of my debut novel The Oracle Year without giving away some of the plot… but I’ll do my best. The book is about the appearance of a real-deal prophet in the world, a New Yorker in his late twenties named Will Dando. This otherwise ordinary guy has one hundred and eight specific future events revealed to him, all set to happen over roughly the next year. When the first few come true, he has to try to understand why he was given such an incredible gift/curse and, more importantly, what he’s supposed to do with them. The book follows Will’s story as the Oracle, but also the way the Oracle’s presence affects the world – and it does, massively. Every aspect of human society is changed in one way or another, from politics to religion to economics to pop culture. I think we all want to know what’s going to happen next, and if someone were out there who could actually tell us… well. It’d flip the whole world on its ear – and so it does, in The Oracle Year. There are a lot of parts I love about the story, which is a good thing, because in order to live with a book for the years it takes to bring it into being, you better love a lot of it – if not the whole dang thing. Some of the parts I love are the parts you’ll never get to see, in fact, the bits I cut to get the novel down to a publishable length. There are a number of alternate versions of the big “Interview with the Oracle” scene, including one set on a boat floating off the Long Island coast. There’s a fully written chapter set at the Lucky Corner Massacre. There’s an interlude built around the reaction of a young woman who was the subject of an Oracle prediction stating she’d win the lottery, and what she does with her winnings. There’s a scene when the Oracle first realizes he’s the Oracle. More than that, too, “deleted scenes” of all types, not to mention the cut lines, cut words… in a way, they’re all my favorite bits, because I love the whole book, in all its incarnations. But none of that’s really fair to you, the person reading this right now, since you’ll probably never seen any of that. So, I’ll select a section from the finished book, something you can actually read, if you’re kind enough to pick up my novel. One of Will Dando’s predictions is just a set of three numbers: 23-12-4. He doesn’t know what they mean, and the reveal is a big plot point from the ending, so I won’t spoil it here. What I will say is that Will spends a bunch of time and money trying to figure it out for himself. He hires a bunch of consultants from all disciplines – mathematicians, codebreakers, numerologists, astronomers, you name it. (He gets very rich at one point in the book, which is how he’s able to afford all of that.) One of the consultants, a numerologist/kabbalist, tells him that the numbers might refer to a certain Bible verse. When the first letters of each line in that verse are lined up, they form an anagram which, when unscrambled, reads ‘God quit the sad task,’ with two letters left over: W and D.
Now, remember that the prophet’s real name is Will Dando. W and D. Will didn’t tell the numerologist his actual name when he commissioned the report, so to the analyst, the W and D are just two random letters. To Will, though, they read like a sign that the message was created especially for him – in an ancient religious text. He’s not sure what it means, if anything, but it freaks him right out. This ends up being a red herring in the story, just a coincidence, but it gives that part of the book a very cool frisson of “oooh, what does that mean?” possibility that I think is a lot of fun. The Oracle Year is full of a bunch of things like that – so why is this my favorite bit? Because it’s true. When I was trying to think of fun things to do for alternate explanations of the 23-12-4 numbers, I did a bunch of research. I found that verse, figured out the anagram, and then saw that it ended up with two leftover letters that just happened to be the initials of my main character. An incredibly fortunate coincidence, just a happy accident, but the kind of thing I knew I could really run with – and I did. 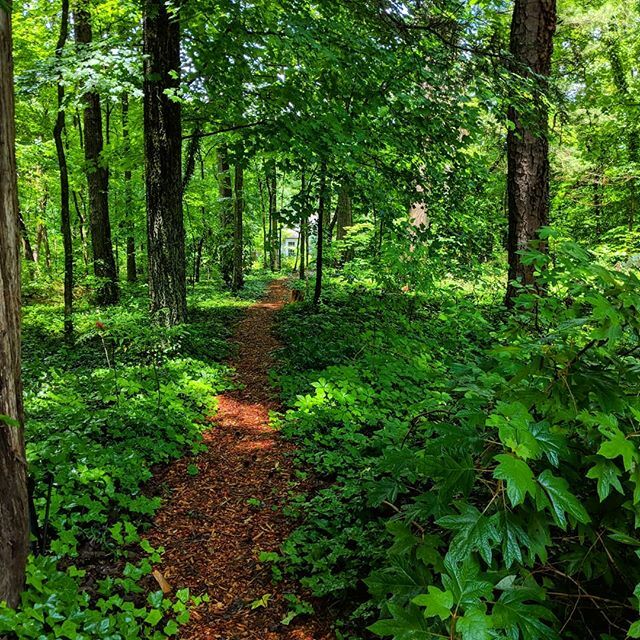 For me, writing a novel generally starts in one place and ends somewhere very different, and that journey is fueled by amazing, unexpected connections you make between your ideas as you go. Something you never could have seen coming until you were deep into the story ends up pushing everything in a new direction. Makes for quite a ride, and it’s often one of the best parts of writing something big. For me, 23-12-4 is representative of that concept as a whole, and that is why it’s my favorite bit. Charles Soule is a musician, attorney and the New York Times bestselling author of numerous comics titles for Marvel, DC, Image and other publishers, with over 2.2 million individual comics sold in 2017 alone. He is best known for writing Daredevil, She-Hulk, Death of Wolverine, and various Star Wars comics from Marvel Comics, as well as his creator-owned series Curse Words from Image Comics and the award-winning political sci-fi epic Letter 44 from Oni Press. Letter 44 was an official selection of the 2016 Festival International de la Bande Dessinée in Angoulême, France, which recognizes the finest graphic titles published in the French language. Soule also received the 2015 Stan Lee Excelsior Award for Superman/Wonder Woman Vol.1: Power Couple. His series Twenty-Seven (with Renzo Podesta) and She-Hulk (with Javier Pulido and Ronald Wimberly) were included on the “Great Graphic Novels for Teens” list from the Young Adult Library Services Association in 2012 and 2016, respectively. Technically, this is just for Alyshondra, who is all things wonderful, BUT she wants to share her birthday present, so that means you get a story, too. Make sure to wish her a happy birthday in the comments. The moment the stuffed giraffe drifted toward the floor of their small lunar hopper, Alyshondra knew that she had a problem. It was not that her eleven-month-old had lost her grip on the beleaguered patchwork giraffe and would start crying in about — now — but they weren’t supposed to be decelerating at this point in the trip to Grandma’s new homestead. Amara’s wail wept up from a whimper to a full klaxxon to match Alyshondra’s internal alarm. She grimaced and ignored her daughter because the giraffe was continuing to fall. She raked her gaze over the gauges on the panel of the hopper. 720 meters altitude, down at 80, 120 forward…. Their altitude was dropping with the giraffe and– MASCON. The moon had mass concentrations of gravity where the density of some rock formations made the gravity measurably stronger. They must be passing over one of those. Working on instinct, she gave a double tap on the nadir and aft thrusters to counter their drop and send them surging forward. The engines kicked the seat against them. The giraffe dropped to the floor and bounced, spinning upward. Right hand on the manual controllers, Alyshondra snared the giraffe with her left as she watched the gauges. 1000 meters altitude, up at 100, 190 forward…. and steady. By the numbers, they weren’t dropping any more and were back on course for Grandma’s. Mary will be at the SFWA Nebula Conference in Pittsburg, Pennsylvania from Thursday, May 17th to Sunday, May 20th. Here’s where to find her at the conference! Get snapshot talks on a variety of subjects, geared toward jumpstarting your brain. Presenters get 20 slides, which automatically advance every 15 seconds. The results are fast and fun presentation each of which lasts just 5 minutes. Stories can be found in games just as much as fiction. Panelists will discuss how they emerge in games, how the type of game affects the narrative arc, and how writers impact the story. The panel will also highlight techniques to evaluate the narrative arcs in published games. You’re at a con, you’re exhausted and have to look like you’re in top form. Learn tricks for femme, ace, masc, and everyone on the gender spectrum to spackle over the fatigue. This isn’t about conforming to media stereotypes but about using a tool to look like the best version of you. And if you’re a nominee wanting a little extra sparkle… this is a hands-on workshop. There are more ways for a writer to earn income now than every before. This panel focuses specifically on the subscription or patronage model for providing an author with on-going support. From Patreon to Drip to Koffi, what are some ways to reduce the uncertainty of your income stream? 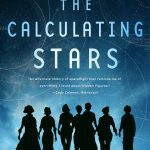 Here is your chance to meet and congratulate this year’s Nebula Nominees before the mass autographing. As a way to celebrate the nominees’ work, we have partnered with SAG/AFTRA to have two professional audiobook narrators who will read excerpts from the nominated work (Mary is one of narrators reading). A narrator can make or break a book. 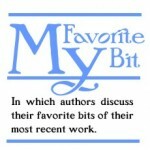 How do you find, evaluate, and work with a narrator to create the best possible audiobook? Representatives from SAG/AFTRA, (the union representing audiobook narrators) join with narrators and audiobook publishers to give you the low-down on what goes into creating an audiobook and how to proceed if you don’t want to sell your audiobook rights but would rather produce it yourself. Mass Autographing – open to the public! Come have your things signed by Mary and the other attendees and nominees!